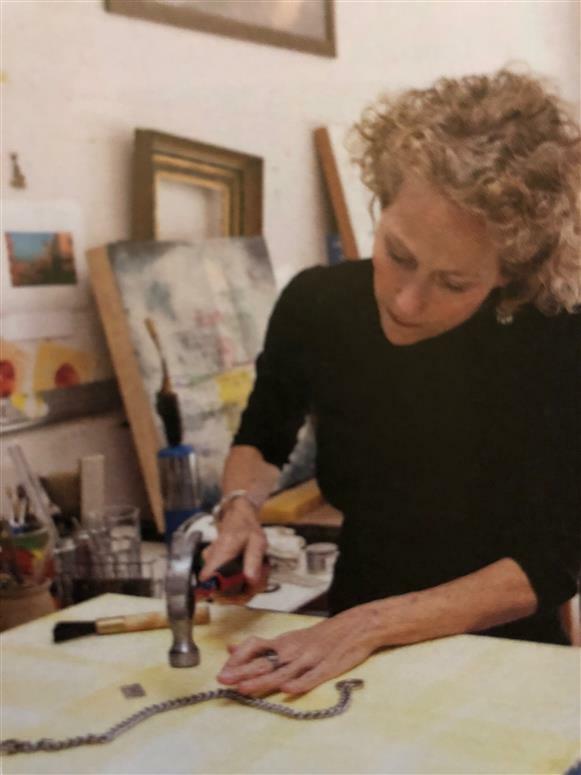 Lisa Bick is a Santa Fe-based artist who creates abstract encaustic and wax-based paintings that express the intricacies of a lifetime. She views her work with wax as a metaphor for life; the layers symbolize a person’s life experiences and the blowtorch, used to fuse the layers together, symbolizes loss, desire and longing. Her work, like life, is complex and comprises seemingly incompatible opposites such as order and disorder and the rare and the ordinary. Lisa’s overarching goal with her work is to connect the individual spirit with the larger world. Where in the World Do I Go from Here? At my core, I am a romantic with a love of words and poetry. 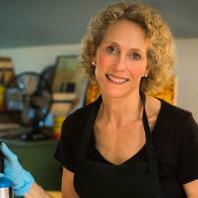 These attributes come into play while working with encaustic. I see my work as visual poetry; exploring the interplay of the senses layered with scrims of images and color. Emotional, passionate and sensory memories combined with a sensitivity towards nature, filter through my life as a woman and an artist. I am constantly inspired by poets, music, architecture, visual arts and philosophy. My studio work seeks to create paintings that resonate with history as well as modern day. In my work you will find order and disorder, hints of the rare and the ordinary, glimpses of loss and longing, all woven together to create a unique experience.